Color sketches for a bodybuilder gorilla with dumbbells cartoon character illustration project. 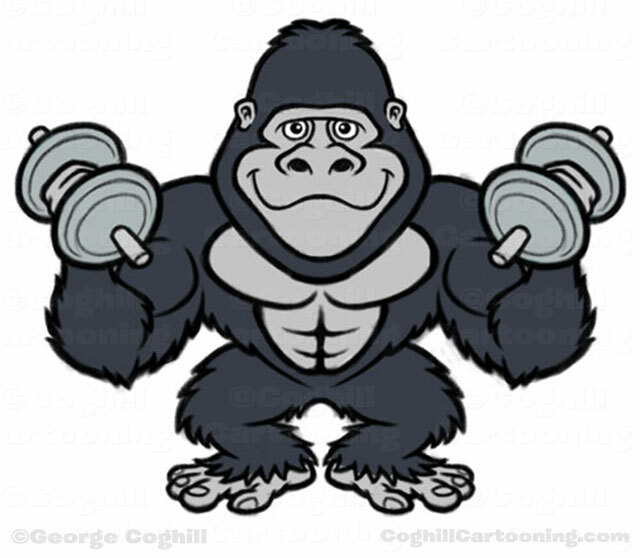 The ape will be used as a mascot for a fitness gym in Australia (named “Jungle Gym”). I’ve included the black and gray version of the color scheme below. 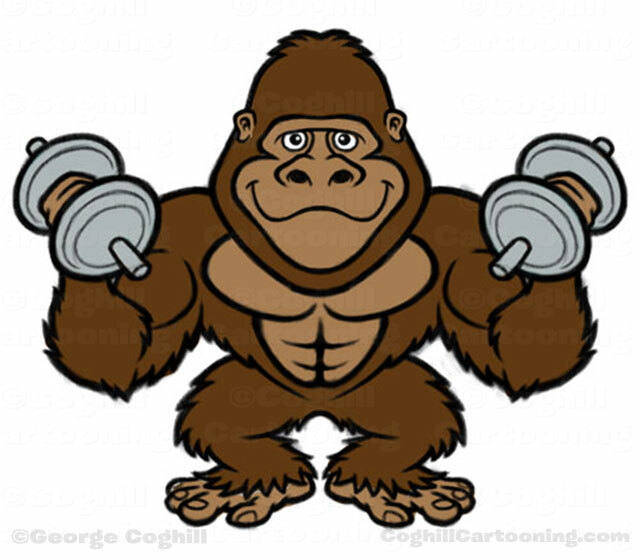 I always find it odd that clients want gorillas to be “monkey brown”, when they are just not that color in real life. Or maybe they are, but they just aren’t that common if so. Artwork created in Adobe Photoshop CS6 using a Wacom Intuos4 graphics tablet.